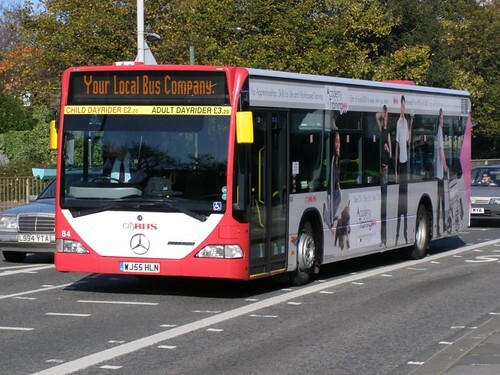 Thanks to Ian Kirby (Iantherev) I can bring this photo of the latest advert for Plymouth Citybus, and its the first Citaro to be used in this way. 84 in quite a pleasant advert for Academy Training. Click the link above to see more of the Revs photos from his visit to Plymouth. thanks Ian - great photo! I had heard that there was a Citaro in advert livery but this is first time I had seen it. dont get out and about as much as I would like to at the moment!